Treat yourself to some delicious frozen custard! Hibbard’s Original Frozen Custard has been family owned and seasonally operated since 1939. Harold Hibbard Senior’s desire to start the business was born after a chance encounter with fresh made custard in the mid-thirties. Mr. Hibbard saw value in the delicious product and brought that value to his hometown. Four generations later, Hibbard’s still has the pleasure of serving the Village of Lewiston and surrounding areas. Frozen custard uses much less air than ice cream. Less air = richer flavor! 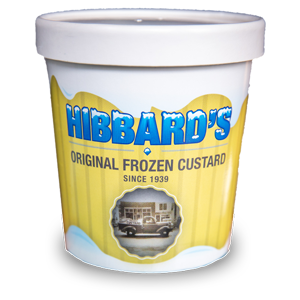 Why Hibbard’s custard is so good…. the main reason for Hibbard’s deliciousness (besides the fact that it’s made fresh throughout the day) is that in the design of the custard machine, less air gets pumped into custard. Leaving you with a creamier and much richer treat than ice cream. 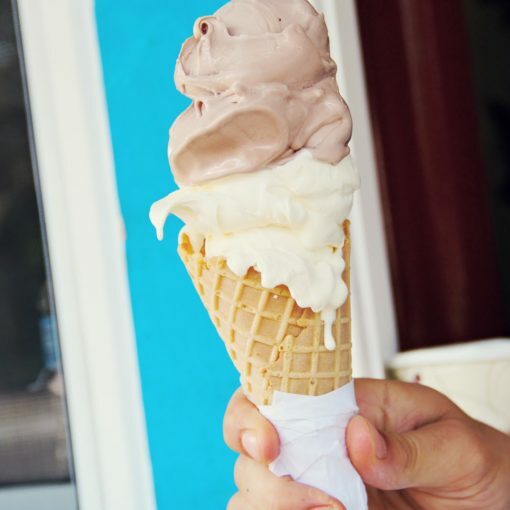 Hibbard’s custard will put your ordinary soft serve ice cream to shame.